[PDF] The Book of English Magic | Free eBooks Download - EBOOKEE! Description: Have you ever wanted to know more about alchemy, mix up a herbal remedy, dowse for water, perform a spell, or find out more about "second sight"? Did the Harry Potter books ignite your curiosity about wizardry? 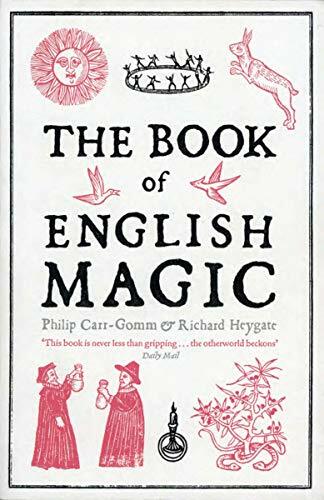 Through experiments to try and places to visit, as well as a historical exploration of magic and interviews with leading magicians, The Book of English Magic will introduce you to the extraordinary world that lies beneath the surface. Magic runs through the veins of English history, part of daily life from the earliest Arthurian legends to Aleister Crowley to the novels of Tolkien and Philip Pullman, and from the Druids to Freemasonry and beyond. Richly illustrated and deeply knowledgeable, this book is an invaluable source for anyone curious about magic and wizardry, or for sophisticated practitioners wanting to learn more. No comments for "[PDF] The Book of English Magic".